Us bloggers are at the same time a critical and impressionable bunch. Sure, years of testing, trialling and studying have taught us a thing or two, which makes that we approach new launches with caution, but when friends and fellow beauty afficionada’s start raving about that same new launch, we end up throwing that same caution to the wind, hop on the bandwagon and end up ordering the product anyway? Me? Guilty as charged! 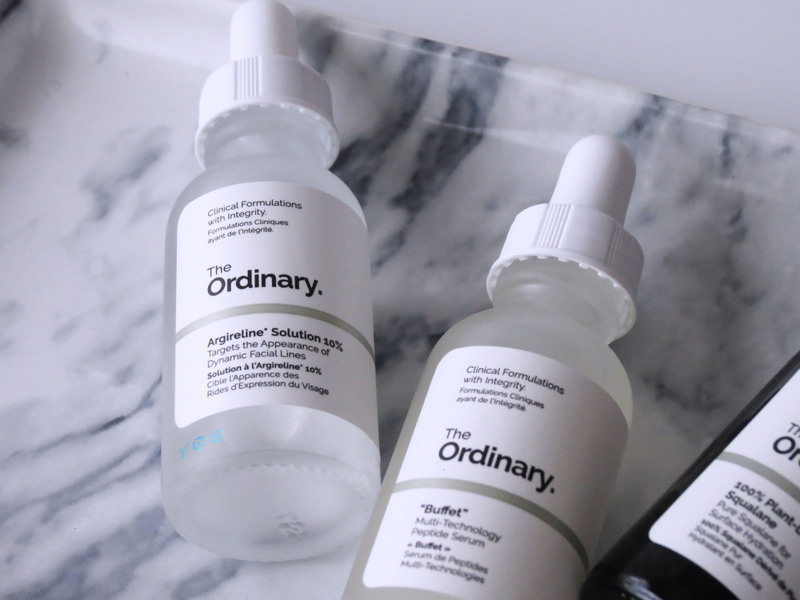 Case in point: The Ordinary. I steered clear from the brand for a long time, not quite trusting the low price / high quality claim and feeling bulldozered by the extensive catalogue of products… something about not seeing the wood for the trees and such… But still, curiosity won, and I caved. Cue back to a few weeks ago, when my serum stash was dwindling and my skin was in need of a shake up of my skincare routine. 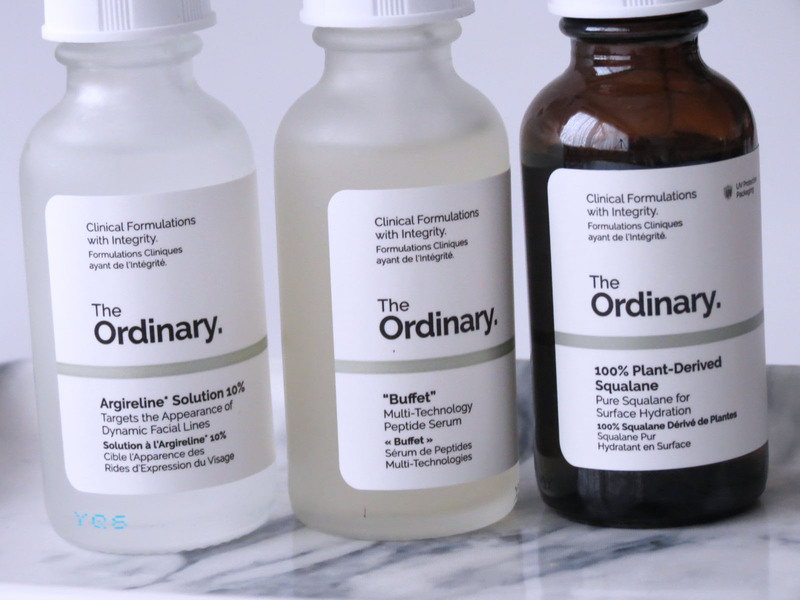 My curiosity was getting the better of me, so I dove in, did my research and ordered the 100% Squalane Oil, the Argireline Solution 10% and Buffet Multi-Technology Peptide Serum. I had some more items on my wishlist, but turns out I was not the only one wanting some The Ordinary that night, because all the others had already sold out. All the more reason to place another order soon! So, will I love them as much as everyone else? Or will I struggle to get along with them? 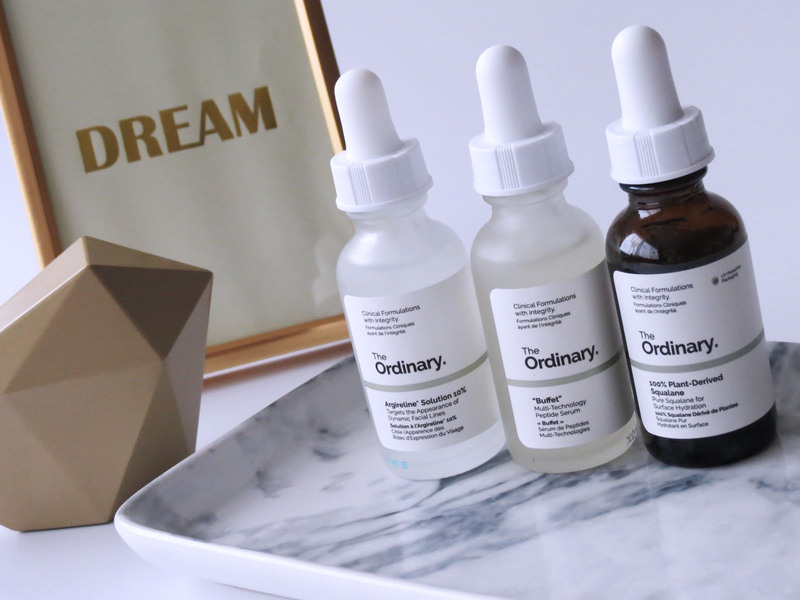 I’ve just started testing them and am rotating them a bit with other serums in my closet, but so far, we’ve had a promising start! Obviously I’ll do a full length and thorough review on each product later on, but I am still to find fault at this point. The Squalane Oil is proving to be a great day-long hydrator, keeping up the moisture and suppleness levels well into the afternoon (exceptionally good for my Sahara skin), and though it’s still too soon to judge the anti-ageing and long term effects of both the Buffet and the Argireline, I do feel as if there are little differences to be seen in the texture of the epidermis and the redness on cheeks, as if the first bits of finetuning have already begun. 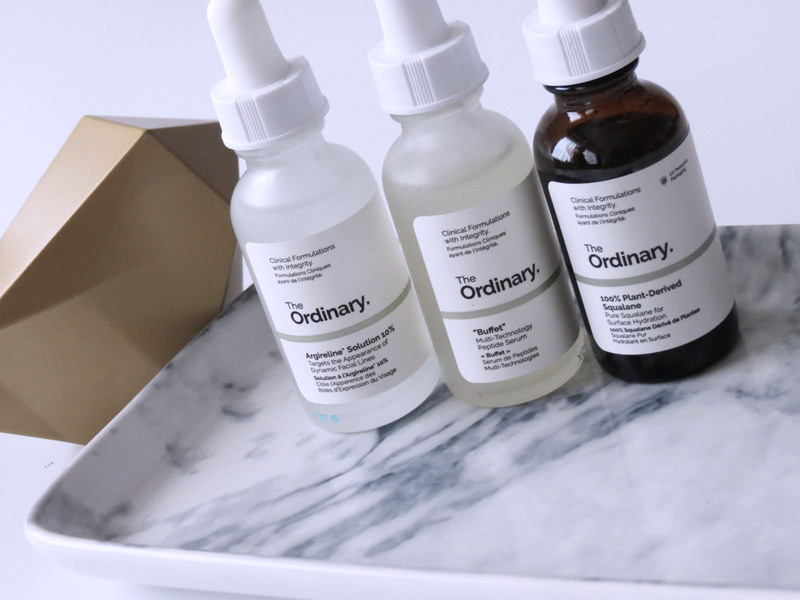 What are your experiences with The Ordinary? Did you already order some bits and bobs, and how do you feel about them? I’d love to hear anything and everything you feel like saying in the comments!